They may be made from wood, riprap, gabions, concrete or even bamboo, but they all have the same purpose. As waves hit the side of the groyne facing the longshore drift, the power of the waves is reduced. This side of the groyne experiences erosion because it takes the full force of the waves. The side of the groyne that is sheltered from the waves experiences deposition, and sediment builds up in the shelter of the groyne. In this way they trap the sediment being transported by longshore drift and nourish the protected areas (usually beaches). Wooden groynes are a common site on beaches on the UK and Europe. Simple to construct, and reasonably cheap for a form of hard engineering, they are normally installed as groups rather than as a single groyne. 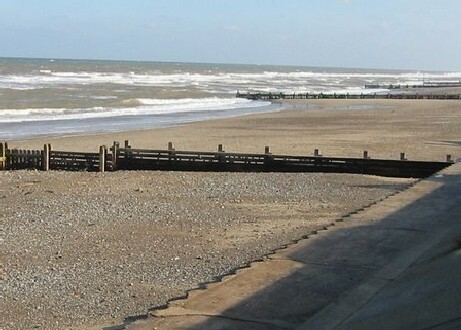 The length and spacing between the groynes is determined by the force of the waves, the strength of the longshore drift, and the amount of sediment engineers want to capture. 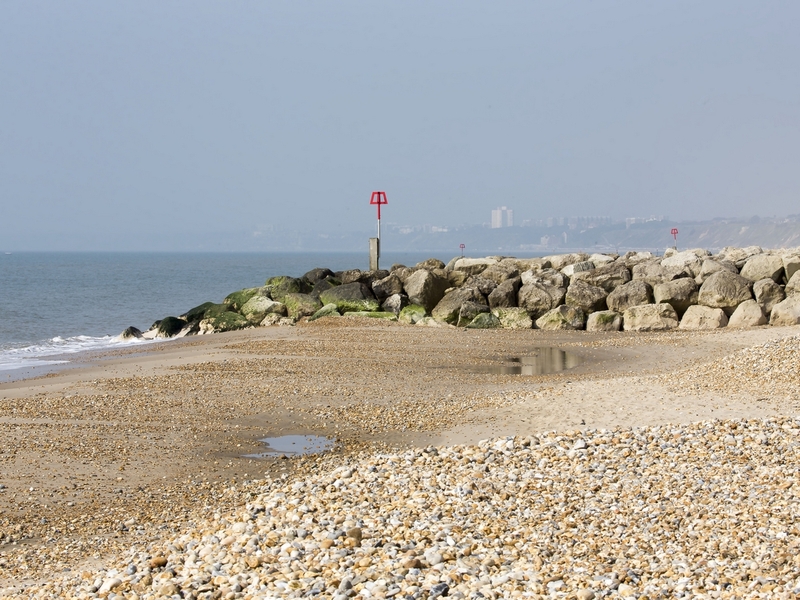 A typical wooden groyne has a life expectancy of around 25 years. The groynes in the image are partly of an open costruction, so they allow some water and sediment to pass through them. This takes some of the energy out of the waves whilst completely solid groynes take all the energy out of the waves that strike them. Although groynes like these are familiar many tourists don’t like them because they look artificial and the divide the beach up into sections that can be difficult to pass between. The entire point of a groyne is to limit the effect of longshore drift by capturing sediment whilst it is being transported. The side of the groyne facing the longshore drift reduces the power of the waves, but suffers from erosion in the process. The side protected from the waves is an area of deposition where sediment settles and is protected from erosive wave action. Consequently there can be a considerable difference in the height of the beach on either side of the groyne. In this photograph longshore drift comes from behind the photographer, so the beach is low on the nearside of the groyne but much higher on the far side where it is protected. This difference in height can represent a hazard to tourists who jump over a groyne and find an unexpected drop on the other side! Not all groynes are constructed from wood. They may also be made from riprap, gabions, concrete or even bamboo depending on the materials available and the effect the engineers want. 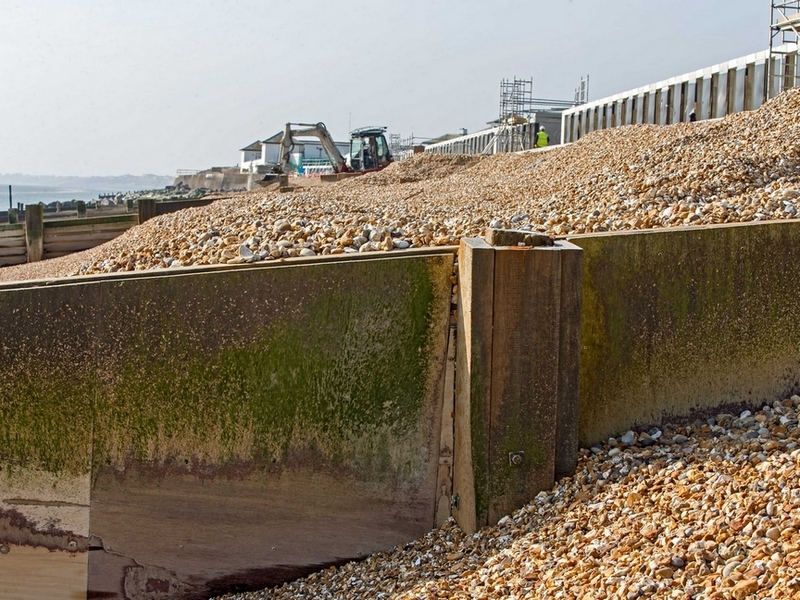 Riprap groynes are sturdy, wider and often higher than wooden ones. They have a very long life expectancy,potentially over 100 years in the right conditions. They look less artificial, can cope with violent conditions and are easier to produce that wooden ones that require foundations. Most riprap groynes are formed by barges dumping huge rocks to form a line down the beach. The weight of the blocks holds them in place,and the gaps between them help to dissapate the power of the waves.